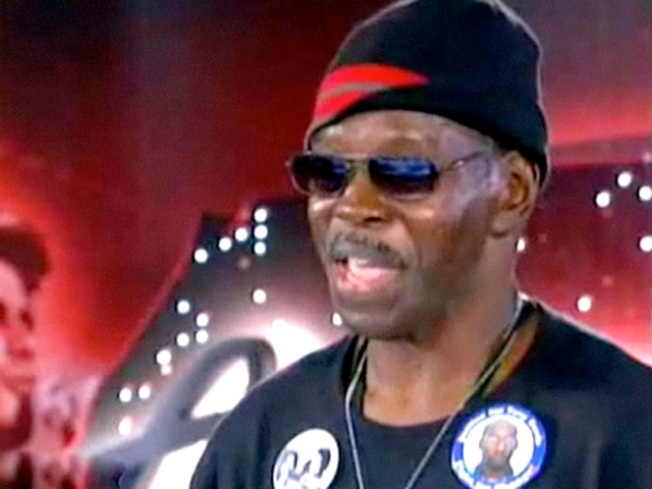 “General” Larry Platt’s unlikely career as a viral superstar ignited Wednesday with the airing of the 63-year-old Atlanta man’s “Idol” audition, featuring his catchy ditty, complete with impressive break-dancing moves. Former "American Idol" contestant General Larry Platt, the singer who shot to fame with his "Pants on the Ground" anthem, is headed to the Grammy Awards on Sunday – at least for the pre-show festivities. Access Hollywood has confirmed that General Larry will be singing his viral hit song before the show. General Larry's rep said there are no plans for the singer to attend the actual ceremony. As previously reported on AccessHollywood.com, a mini-controversy erupted this week about the track. A similar-sounding song, "Back Pockets on the Floor," was released in 1996 by an elderly rap duo, The Green Brothers. The brothers, who re-posted "Pockets" on YouTube, said they have no ill will towards the General and simply wanted the world to hear their song, too. In related news, "Pants on the Ground" has been adopted as an anthem by the NFL's Minnesota Vikings, who brought General Larry to their playoff game against the New Orleans Saints last weekend. However, his appearance failed to inspire the team to victory – the Saints won, 31-28. PLAY IT NOW: Ken Ehrlich: Are The Grammys 'Mad' At Rihanna?